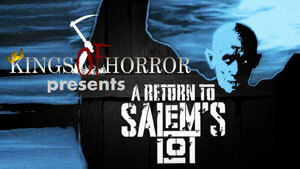 Have you ever seen Larry Cohen’s A Return to Salem’s Lot? Well, depending on who you talk to, it’s either an interesting little gem or a piece of garbage. Today, William Bibbiani and Ryan Turek debate whether you should check it out or avoid like the plague in today’s Kings of Horror. Kings of Horror a month-long series in which ShockTillYouDrop.com’s Turek (@_RyanTurek) and CraveOnline‘s Bibbiani (@williambibbiani) reflect on the big screen theatrical offerings of Stephen King’s works. 31 days, 31 films, 31 reviews! The series began with Carrie and will end with the Carrie remake. Head inside for the video.